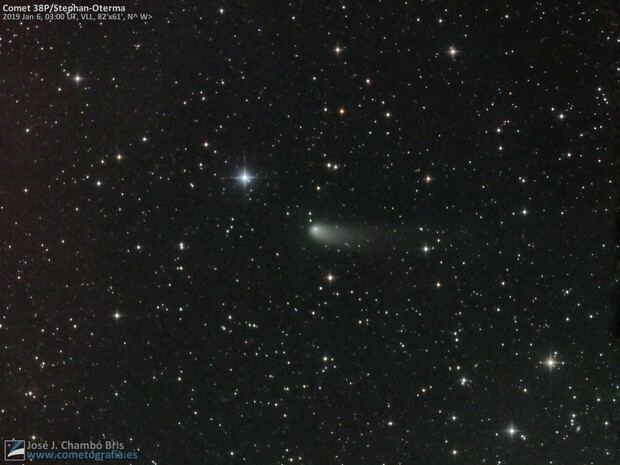 Comet 38P/Stephan-Oterma photographed on January 6, 2019. Going away from inner Solar System shows in this image an asimetric coma with 3' af angular size, whitish and few gassy, which is transform in a dust tail with 15' lenght toward West. 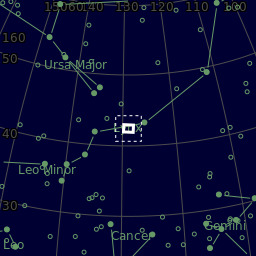 Comet had here a brightness near magnitude 10 and located into constellation Lynx, the brightest star has magnitude 7. Telescope GSO 8" N f/3.8.